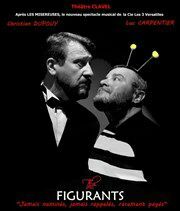  » Résultats de recherche pour"the figurants"
Cirque Tsigane Romanès – La trapéziste des anges ! Copyright In Theatro Veritas 2015. All rights reserved. Theme "In Theatro Notepad" designed and engineered by ShareVB based on "Anarcho Notepad" by Arthur "Berserkr" Gareginyan.